I like your pencil! No, I LOVE your pencil!! To me, this little painting carries a very powerful, emotional message. 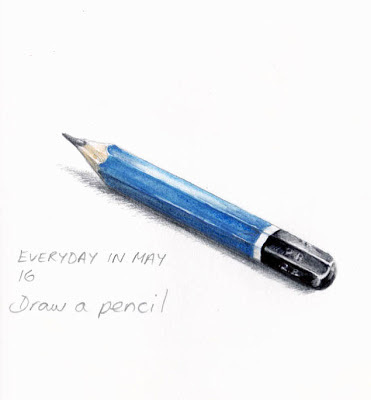 That one pencil... such a simple, yet beautiful tool, and all the possibilities of what can be done with it. I like that you chose blue too! Very nicely done! Even a simple pen becomes beautiful when you paint it !